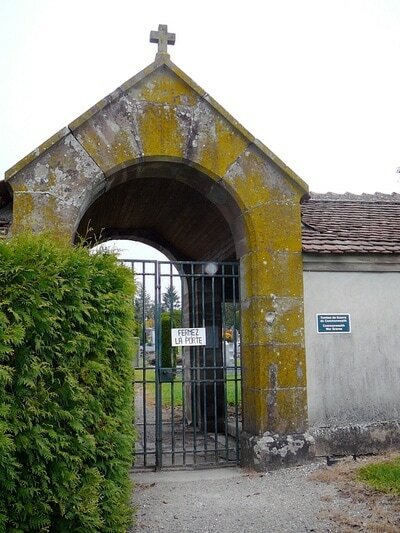 Weyer is a village 54 kilometres north-west of Strasbourg and 20 kilometres north-west of Saverne, a town and sub-Prefecture on the Paris-Strasbourg road (N.4) and railway. The communal cemetery is on the eastern side of the village, on the road to Drulingen. 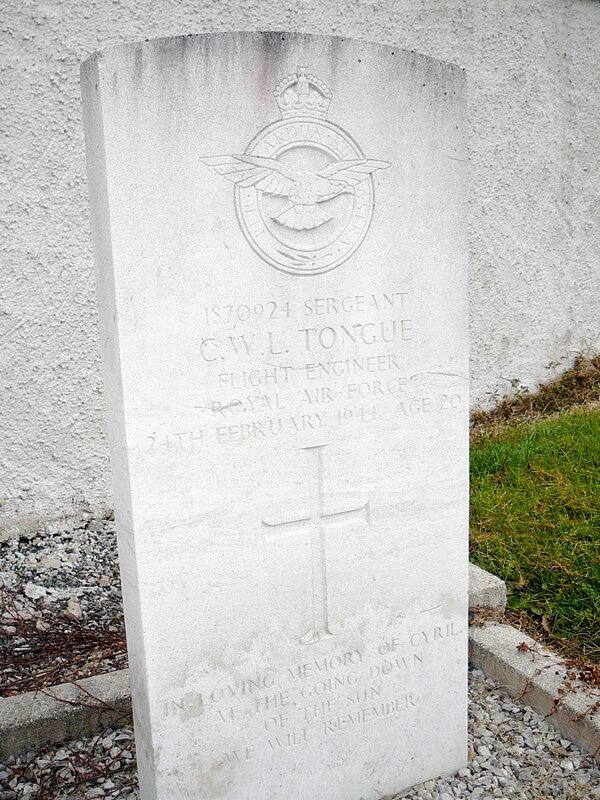 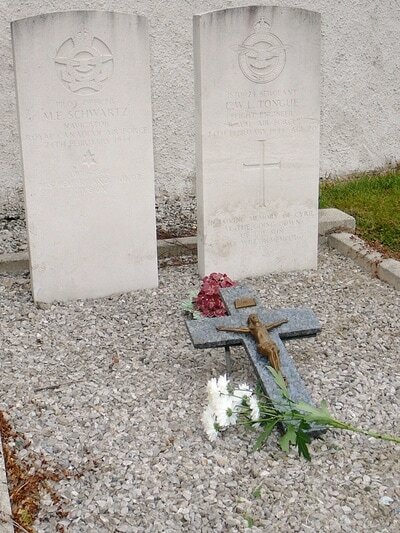 In the northern corner is the joint grave of 2 airmen, 1 of whom belonged to the Royal Air Force and one to the Royal Canadian Air Force. 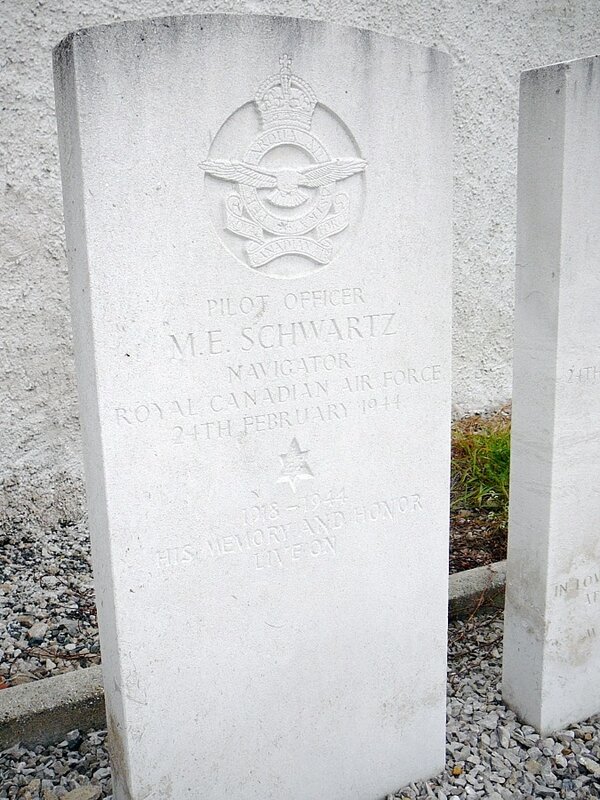 SJ/86762 Pilot Officer Meyer Edsel Schwartz, Navigator in 405 Squadron, Royal Canadian Air Force, died 24th February 1944.